The past 10 years has seen a significant increase in both the scholarship and collecting of Japanese photobooks. Stimulated by groundbreaking exhibitions in New York, San Francisco and Houston, along with the publication of several exceptional reference guides, this recent interest in the Japanese photobook has helped introduce a number of previously under-valued books to a broader audience. As an early proponent of Japanese photography and the Japanese photobook, the International Center of Photography Library maintains an excellent collection that includes approximately 500 Japanese photobooks with an impressive selection of postwar Japanese first edition monographs. 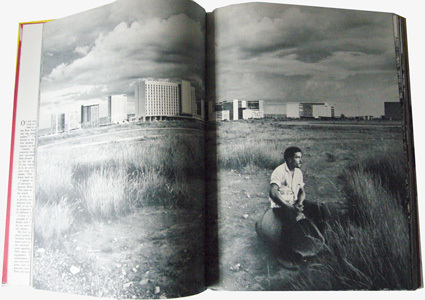 Growing out of the more modest photobooks of the 1930s, which were often produced on cheap paper with the intention of easy and inexpensive distribution, the elaborate and beautifully printed postwar monographs evolved as a cultural response to two profound postwar social issues: the Hiroshima/Nagasaki atomic bomb attacks, and the continued presence of American military in Japan. Feeling the need to establish a new and distinctly Japanese visual vocabulary, photographers first imitated and then synthesized western visual and cultural influences. 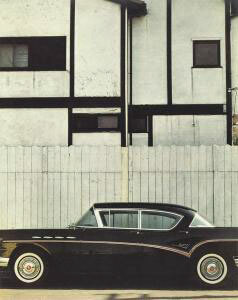 As both a personal and aesthetic representation of this synthesis, American born, Japanese reared photographer Yasuhiro Ishimoto’s Aru Hi, Aru Tokoro / Someday, Somewhere (1958) combines a Japanese austerity with an inclination towards an abstraction acquired during his time as a student under Harry Callahan and Aaron Siskind at the Chicago Institute of Design in the 1950s. A beautiful book, which takes full advantage of the sharp contrast and deep blacks in gravure printing, it sets the stage for a further discussion of several other Japanese books of the same period that look towards the West with a distinctly Japanese eye. Among them are Yoichi Midorikawa’s Yoroppa No Fukei: 1960 / Sketching Tour in Europe: 1960, a magnificently designed avant-garde travel book of street shots and portraits in Europe and Egypt, which includes black and white, color images, and many fold-outs. Clearly influenced by the street photography of William Klein, Robert Frank and Helen Levitt, lesser-known Japanese photographer Sumiharu Watanabe’s Face of Washington Square (1965) shows the “hippie” life of 1960s Greenwich Village. Pushing beyond the more straightforward documentary style of Watanabe is Daido Moriyama’s grainy and blurry 1971 images of New York in his ’71-NY (2002). 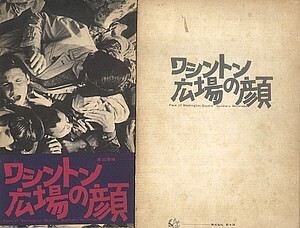 With full bleeds that enhance the raw quality of the images, this later released book highlights the are-bure-boke visual language of the postwar period. 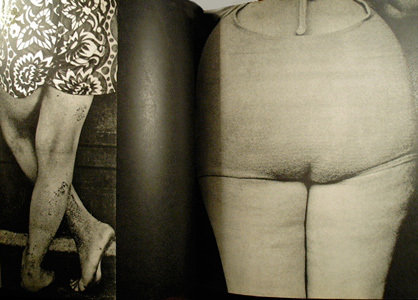 Two other books of note, which reveal a western exploration by Japanese photographers, are Jun Miki’s Samba Samba Brasil (1967), a showcase of carnival and Brazilian dancehall images; and the somewhat humorous Young Samurai: Bodybuilders of Japan (1967) by Tomatsu Yato, with an introduction by Yukio Mishima. This entry was posted in International, Unpacking the collection and tagged Daido Moriyama, Japanese Photobooks, Japanese Photographers, Jun Miki, Tomatsu Yato, Yasuhiro Ishimoto, Yoichi Midorikawa. Bookmark the permalink.